This is the fourth screen of the Netscape Account Wizard. 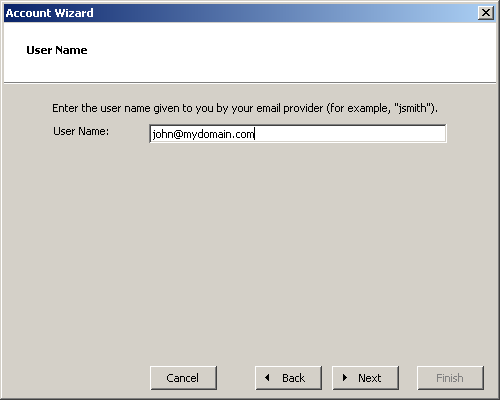 Enter your email address in the User Name field. Be sure to enter the entire address or it will not work. Then click the "Next" button. Click this button in the screenshot below to continue this tutorial.